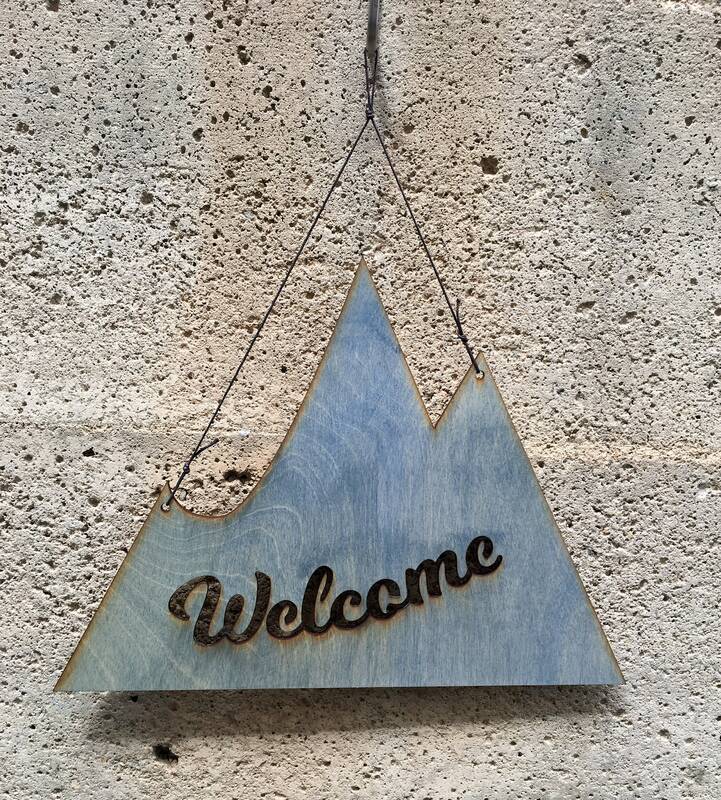 Welcome to the mountains. 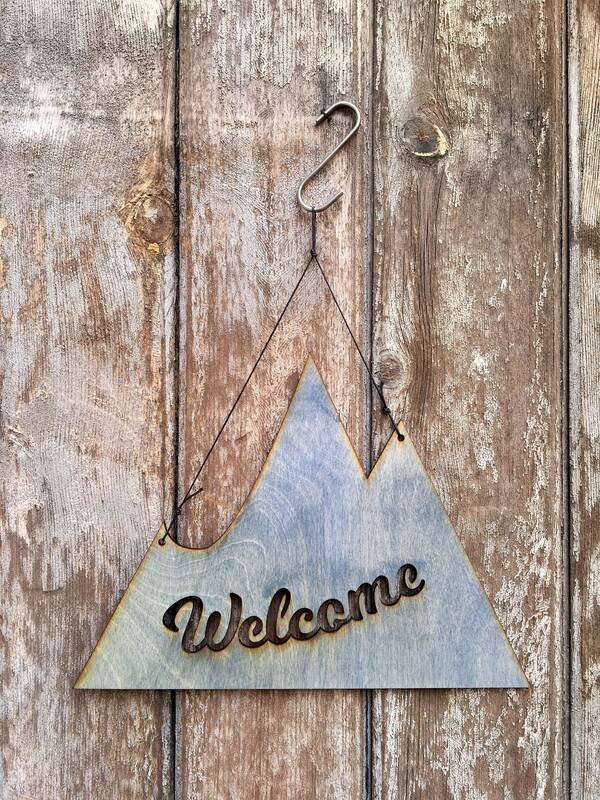 Add this sign to your cabin, mountain home, or ski condo/crash pad. 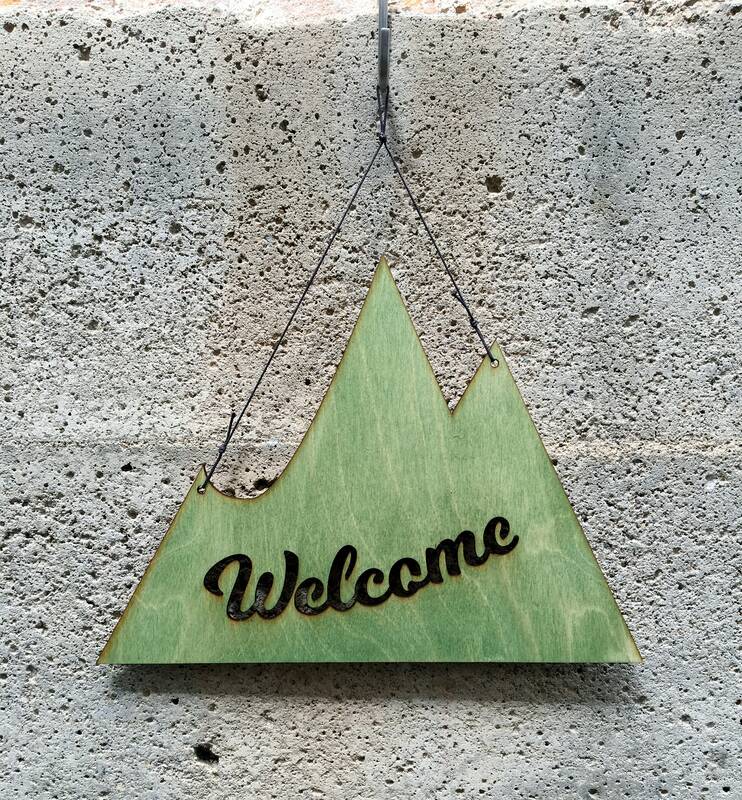 It's perfect way to welcome you and your guests to your home in higher elevations. 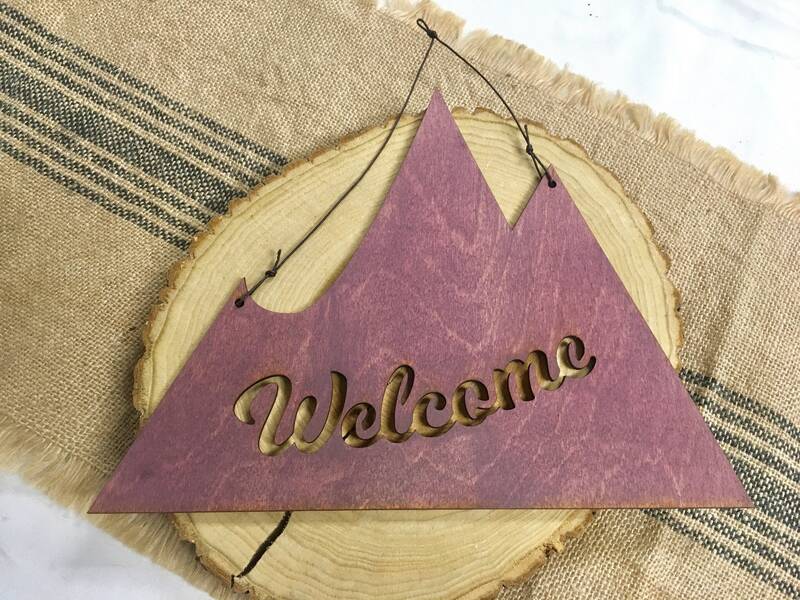 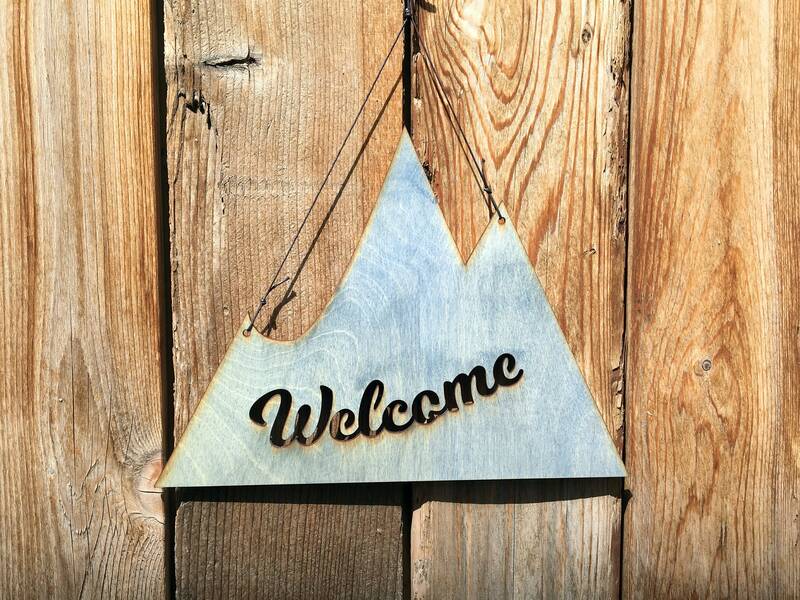 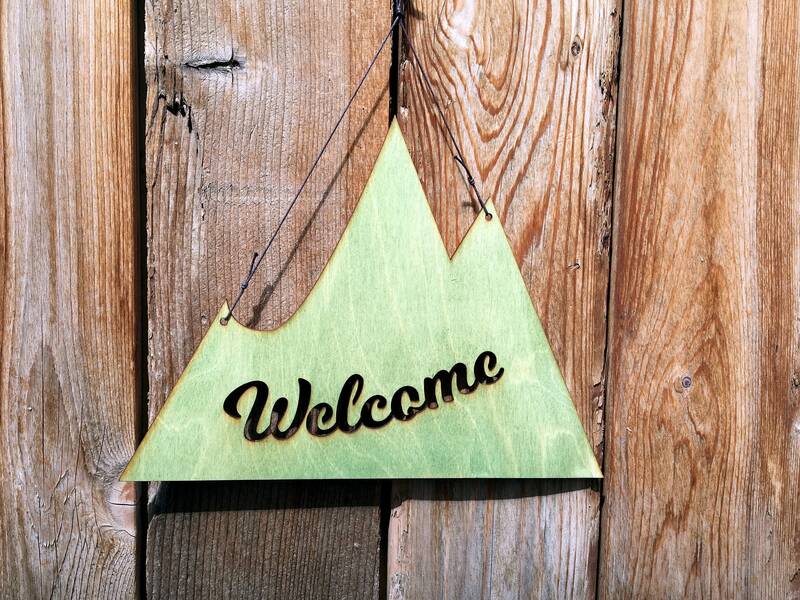 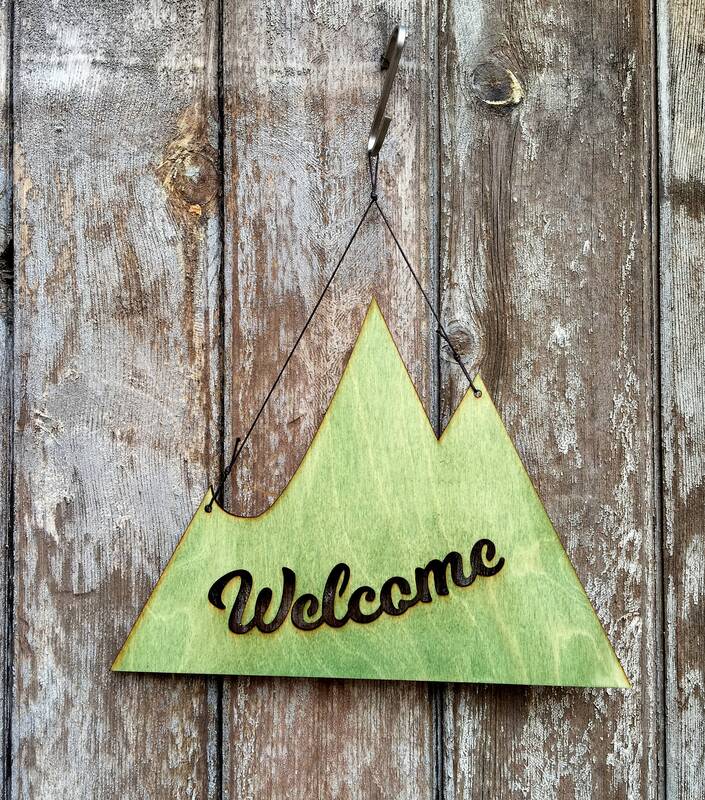 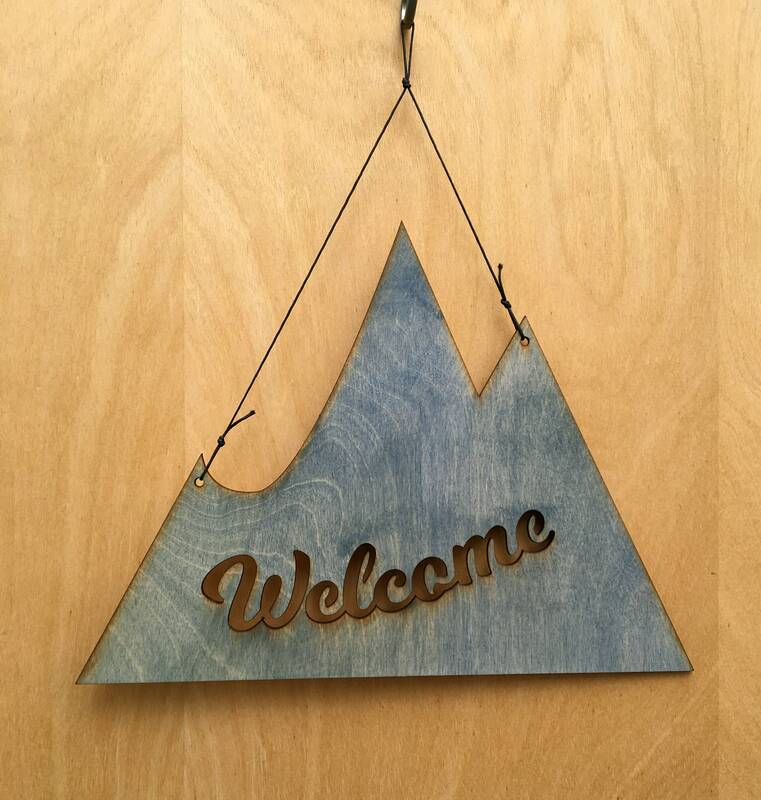 Fun Mountain shape with "Welcome" lasercut out of the mountain. 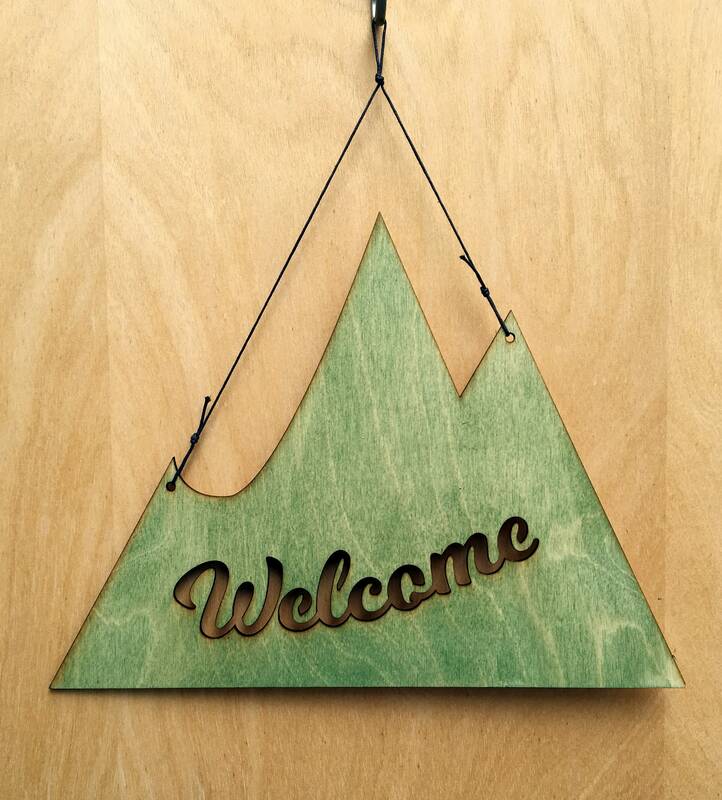 This version is 11 inches x 12 inches.